I Spend a Lot. So How Do I Save? I’ve heard that moving is as stressful as getting a divorce or having a baby. While that might be a stretch, this month I’ve definitely let a lot of things go so I could focus what little mental energy I had on the important stuff: keeping the house spotless (all those house showings!). Seriously: packing lunches for the kids? Gone. School lunches every day for the past few weeks. Fast days? Eliminated after I left the stove on in my house for two hours while fasting. Dieting is obviously a safety hazard right now. Meal planning? Riiigghht. That was down there with weeding. Which I don’t have to do anymore because someone else will have that problem to deal with when they take over these massive gardens. Our goal for the month was to shop the perimeter of the store. We definitely stuck to that as our shopping trips tended to be in and out with no list. It helped us eat relatively healthy although I had to make a canned goods run near the end of the month so we could get some beans and canned tomatoes. This week, my friend came up from South Carolina to visit, so I actually cooked while she was here. I also made the prettiest cheese plate I’ve ever put together, thanks to Pinterest. I looked at Pinterest and made this cheese plate mostly from stuff I had in the pantry from Mr. ThreeYear’s trip to Dubai. Ok, I also bought good cheese and olives and salami. I went to our local grocery store (average inflation, 150%) so many times this month. I am really excited that I’ll be five minutes from an actual grocery store in the future should I need something quickly. I took carpool for track practice this week and made the mistake of going to the Co-Op for all my groceries. They lasted me like 3 days and I spent more than usual. Side Trips: $20.84 to the local grocery. I went to Hannaford twice because we had dinner guests and I needed more supplies. Mr. ThreeYear stocked up on more G&T (because moving’s stressful). Homemade naan. It turned out delicious even if it was a big labor intensive. Mr. ThreeYear started bringing home cabbage and fresh bread. The Co-Op is right by his office. (Cabbage? I know. He loves it). This is also the week we took a short trip to Montreal. We ate plenty of delicious food there that fell outside of the normal food budget (but we did pack snacks for the drive!). 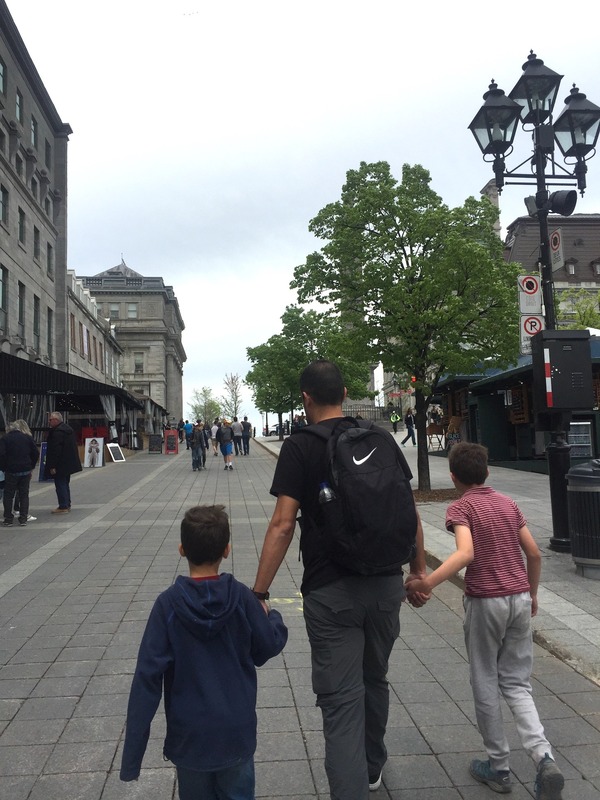 We took a weekend trip to Montreal and had a great time walking the streets. This is when we were in North Carolina looking for houses, so I bought groceries at my sister’s house and then we bought groceries on the way back home as well. We spent a lot less at our weekly grocery trips, because we’ve been trying to eat the food we have at home. However, that means we run out to our local grocery store when we want more snack food or something yummy, because the fridge and cupboards are pretty empty. So I think I need to buy more snack food, especially given that we’re not really making a lot of meals and we’re being much more casual eaters right now, with all the uproar with our routine and the change in seasons too. This month, we are moving out of our house and road tripping down to North Carolina to move into our new house. My goal is to survive the month. We’re going to try and eat as much of the food in our freezer and pantry as we can, but we’re keeping our expectations low. 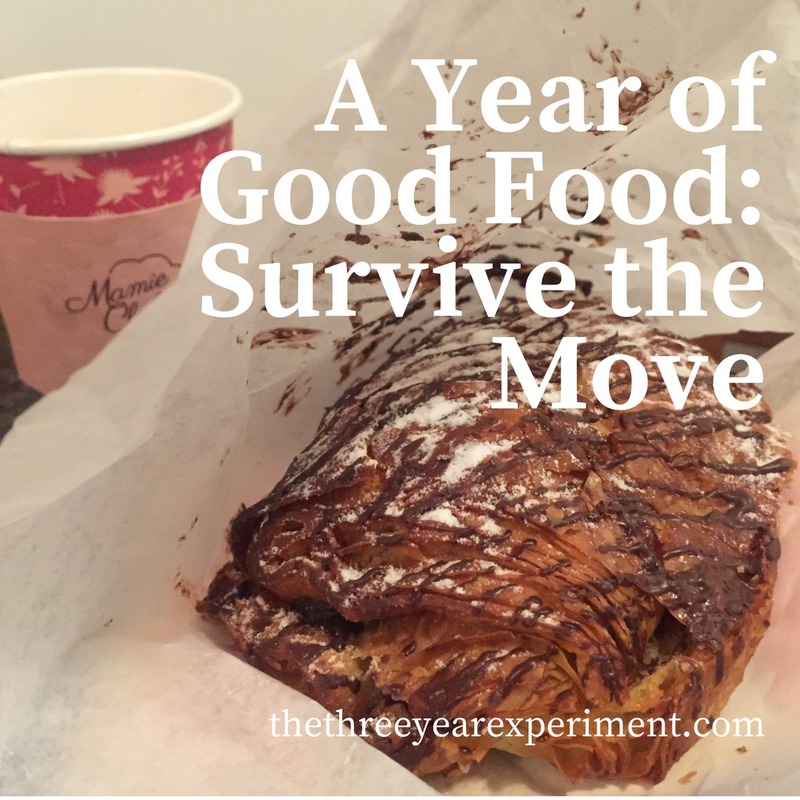 I’m going to try and do better about meal planning and lists, now that I have some more mental energy back after we know when we’re moving and where we’re headed, but I also know that we’ve got so much to do this month that I’ll really be in survival mode. Happy June! Hope you’re having a great month so far. Awesome work stocking to the budget while trying to empty your cupboards and freezer. I’m so bad at actually eating my way through the stockpile. Our May was surprisingly typical for us, even with hosting eight people this weekend as we replaced our roof. We only spent $25 more than normal. Thanks Ashley! Ugh, replacing the roof! I’m sorry! We had to do that last year. And hosting eight people, wow! Yes, eating the freezer-burned mystery meat is not. appealing. at. all. But we are trying! I know we’ll end up passing along lots of food to our neighbors but I don’t think they’ll appreciate the random colorless freezer-burned bags from the bottom of the chest freezer. we used to have a family beach place at ocean isle, nc. it has sadly been sold. did you buy a place in your new town? sounds like a great adventure and no more nasty new england winters! Yes, you would! I’m used to hot being from SC, but TX hot is a whole other category! Analyzing our expenses (in public) has really been the only successful way I’ve found to spend less. It’s been a really good way to keep on track, knowing that I have to report these expenses at the end of the month. I’m pretty excited that we have an Aldi close to where we’re moving (it’s one of the first things I Google Mapped haha). I’m hoping that helps even more. Takeout… mmmm, that’s a whole other beast we’re going to have to watch out for once we move. I haven’t had takeout delivered in 8 years!! It’s impressive how closely you were able to stick to your budget without planning, that would not be the case for me. And with travel in the mix! I am good at staying on budget when I’ve got a strict meal plan laid out but if I don’t then all bets are off. Usually we end up eating out a lot because we’re starving and have nothing in the fridge when we get home from work. Thanks Sarah! I’m usually the same way, so I’m cautiously hopeful that I’m starting to internalize spending less. I know what you mean about the lack of a meal plan. When I don’t have meals in my head, it’s like my brain shuts down at the end of the day, and that’s when we visit our local store (we’d eat out if we had a place to go!). Thank you so much! Looking forward to blogging from the new house! Way to go, staying so close to your food goals amidst HUGE changes in life, routine and future plans! Dialling in my food bill has been my biggest budget challenge – AND it’s so doable! Focusing on real, whole food and home cooking goes a long way. So does minimizing food waste and always using up what’s on hand before buying more. Thanks for the continued inspiration, Laurie! Thanks Dana. One thing I did this Sunday that I’d been neglecting was food prep, and it makes such a big difference. I made a big batch of banana bread muffins and rice. It makes life so much easier knowing there are options for breakfast and dinner. I’m pretty excited about lower-priced grocery stores in NC. I also saw that it’s among the states included in Amazon’s 10% discount for Whole Foods program. Whole Foods is pretty pricey, but it might be worth exploring if they have any bulk or staples that make sense. I’d love to hear what you’re cooking these days!